Medical sales representatives often cling to features and benefits as the foundation of their medical sales presentations. Newsflash: It could be killing the sale! Watch this short video to learn the nuances about how to use features and benefits and why it’s critical that you use caution. 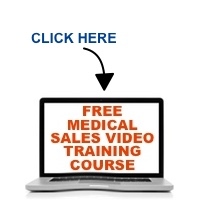 Ready to Stop Experimenting with Your Medical Sales Career?